PSVR continues its barnstorming 2018 with Beat Saber: a supremely fun rhythm game that's only going to improve and grow from here. My arms ache to type this, my mind a swirling Tetris effect of swinging sabers and thumping bass. 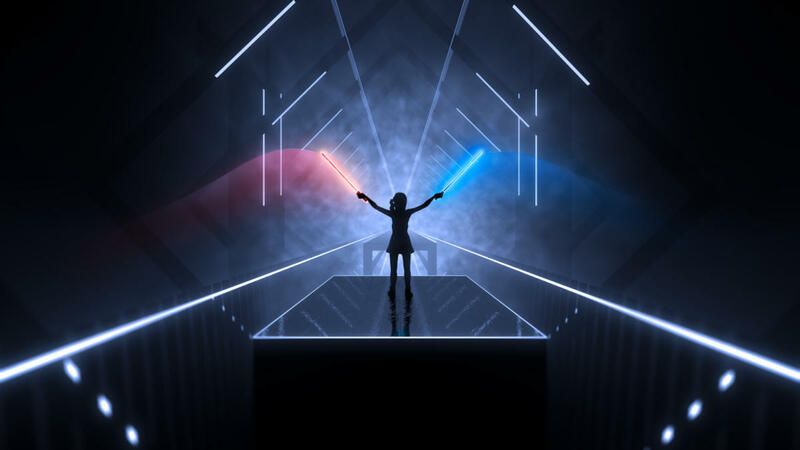 I’ve just tried to wean myself off of Beat Saber, which is making its long-awaited debut on PSVR after becoming a cult favourite on PC. I’d rather be playing it than writing this, which speaks volumes for its irresistible appeal. And also because I need to best at least one of my partner’s high scores — she is a freak at this game. 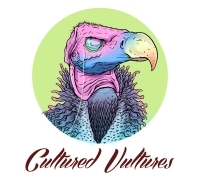 The concept is going to be immediately familiar to anyone who grew up on a steady diet of Guitar Hero and Monster energy drinks, but with roughly 90% added sweat. Blocks travel down a track and you must swipe at them with your virtual reality sabers to reach high scores. It’s simple enough to pick up and play, but a mighty task to master without plenty of training and perseverance. The Move controllers move your colour-coded sabers on-screen; the left is red and the right is blue. Not only do you have to co-ordinate your strikes to hit the right colours on the blocks as they pass you buy, but you also have to follow the arrow’s direction as well as keeping it in time with the beat. If you want to reach the really high scores, it’s not just a case of hitting the thing at the right time, you also have to cleave a block well enough with your saber to make a good cut and earn maximum points. It’s a lot to keep on top of, but though it may feel a tad much to begin with, you’ll be entering a weird zen zone and harnessing your inner Qui-Gonn before you even allow yourself to get embarrassed by the mad shapes you’re throwing. It’s often difficult to explain the “feel” of a VR game in words, what makes the tactical action of something like Firewall Zero Hour so engaging or the bright wonders of Astro Bot so appealing. It’s the same with Beat Saber, it completely taking you out of your body and putting you almost in a trance as you slice and dice your way across its tracks. Slicing up blocks doesn’t get old, neither does connecting your two sabers and feeling the vibration within the Move controllers — I forgot they could even do that. It helps this immersion that every single track included with Beat Saber is a stomping beast, the tra cklisa decent mixture of dance and heavy bass music. While I would have liked to have seen more rock music to allow me to feel like a (very self-aware) drummer, I was declaring myself a living legend over and over again in my quest to become the funkiest Jedi master all the same. Sadly, however, there aren’t that many songs (only 16, to be exact) available with Beat Saber at launch. There’s an obvious gulf between the PSVR and PC versions because of licensing issues, though the tracklist does tire within a few hours, especially if you play through a few of its modes. Beat Games have mentioned that they are working on free and paid DLC tracks, so maybe I’ll be able to embarrass myself to Bulls On Parade before too long. Despite the relatively prudish tracklist for Beat Saber on PSVR, there are more than enough ways of playing to keep the experience fresh. The brand new Campaign begins as a tutorial before evolving into a cursed set of challenges from Satan himself, asking you to complete tracks by moving your arms a minimum and maximum distance, hit blocks with disappearing arrows, and even play slowed down and sped up songs. I’m not quite at the summit of the Campaign yet (and judging from the trophy list’s completion rates, I am definitely not alone), but I can tell it’s a white whale that I am going to sweat myself almost to death to try and beat over time. Modifiers also make their way to the PSVR version of Beat Saber with them to be introduced to PC at a later date. These are for players of all experiences and can make things easier or far harder with one of the handicaps giving you an insta-fail if you miss just one block. These modifiers are begging to be used in conjunction with the Party mode, which is admittedly a little undercooked as it just allows you to swap the headset to record different scores. Still, with Beat Saber bound to unleash your competitive side, it does its job. Beat Saber is yet another PSVR game that continues the quality in what feels like the platform’s breakout year. It’s addictive and immersive, so much so that I am already thinking of how I should improve for my next run. If you wanted Guitar Hero but arguably even better, this is one beat that you won’t be able to resist. PSVR continues its barnstorming 2018 with a supremely fun rhythm game that's only going to improve and grow from here.